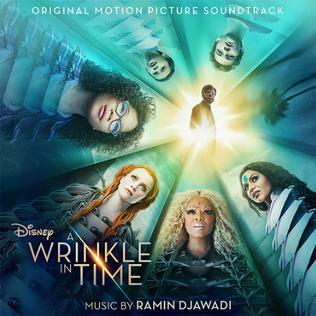 Walt Disney Records’ A Wrinkle in Time (Original Motion Picture Soundtrack) features seven songs from various artists, including Sade, Sia, Kehlani, Chloe x Halle, Freestyle Fellowship, and DJ Khaled featuring Demi Lovato. It also contains 15 compositions from Ramin Djawadi. These pop, world music, and R&B songs combine with Djawadi’s orchestrated works to reinforce the ideology, themes, and messages in the film. Listeners can enjoy the return of Sade with her song “Flower of the Universe” – her first one in seven years. A remix version of this song with some additional rhythm begins this soundtrack, while the standard version ends the “various artists” part of this soundtrack. The strings in the standard version match the soothing lead vocals, which are strengthened by pleasant backing ones. The piano work deepens the musicianship here. Many of the following compositions seek to inspire listeners with themes of believing in yourself and overcoming individual struggles. “I Believe” by DJ Khaled featuring Disney mainstay Demi Lovato packs power into the inspiring lyrics, and the crisp percussion and keyboards provide some emotional enhancement. “When times got hard, I went harder. The best thing I ever did was believe in me,” says Khaled during the song’s bridge. Lovato’s impressively strong vocals hit some nice highs, though the lyrics aren’t particularly unique. Sia’s “Magic” has great piano parts, but the eclectic vocal arrangement really make this song shine, with percussion and keyboards powering ebbs and flows. Producer-songwriter Jesse Shatkin co-wrote this impressive song with Sia and also produced it. “Warrior” by the singing sisters Chloe x Halle incorporates sustained rhythms, vocals and hand claps for a bouncy track to engage listeners, though the lyrics get a bit too repetitive. The eclectically jazzy track “Park Bench People” by Freestyle Fellowship (from their 1993 album Innercity Griots) seems inspired by the film. The horns really provide some variety here, as the vocals echo the same smooth swells. The song forces you to listen and flow with the easy rhythms. Djawadi (Iron Man, TV’s Game of Thrones) begins his set by setting the mode with effective emotion in the title track. He utilizes a 71-piece orchestra, 29-person choir, and a 24-member children’s choir. Djawadi fully utilizes all these pieces with a synthesized voice track throughout the title track that introduces listeners to several epic and engaging harmonies and movements. “Mrs. Whatsit, Mrs. Who, and Mrs. Which” has some potential but has choral vocals that unfortunately disappear almost as quickly as they arrive. Still, the strings and choral vocals swell into an epic, emotional experience that satisfies. Things liven up with more variety near the end, as “Camazotz” mirrors the scary antagonistic “Darkness” and “The IT” with synthetic, distorted, and rhythmic movements. Standout “Uriel” has some great choral vocals mixed with strings, keyboards, and light percussion. This track inspires with varying tones and pleasant instrumentation. The final track, “The Universe Is Within All of Us,” uplifts listeners with swelling keyboards, strings, and horns to a high level with more traditional orchestration. Unfortunately, the soundtrack does not include songs heard in early previews and promotional spots, like the “Sweet Dreams (Are Made of These)” redux by Emily Browning. A Wrinkle in Time (Original Motion Picture Soundtrack) is available on digital and limited edition CD. This entry was posted in Music Reviews and tagged A Wrinkle in Time, Disney, Michael Siebenaler, Mike Siebenaler, Music, Sade, Tall Writer. Bookmark the permalink.